Both the brand new design or expansion of an outdoor kitchen area welcomes families back into the outdoors for dining and conversation. Escape from the usual surroundings of home with our unique kitchen installment options. 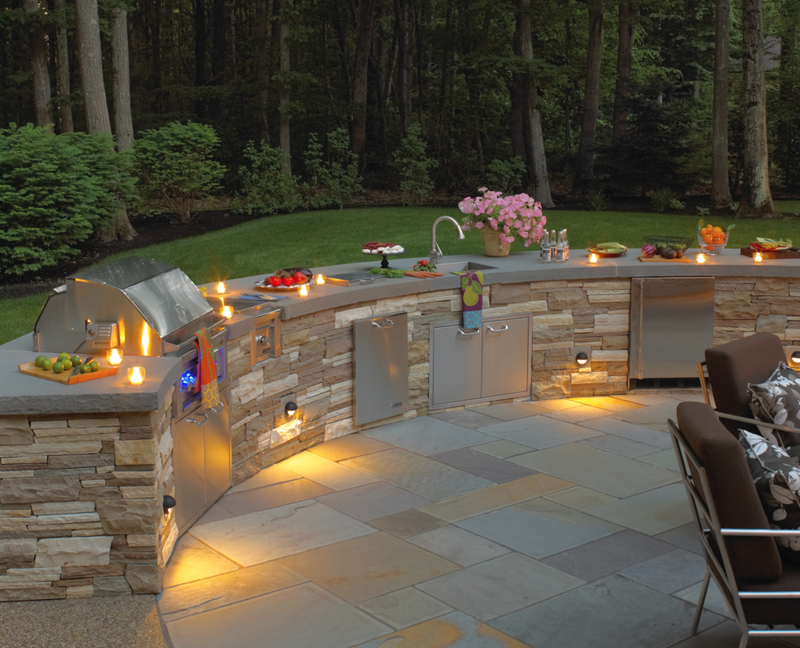 Unilock pavers, natural stone, and built-in wood storage create a solid, sturdy basis for an impressive kitchen structure, and the lifestyle additions such as outdoor bars and sinks or patios and pergolas, round out the full dining environment for your family and guests. "Thanks so much for everything. You guys are awesome and do fantastic work. If you ever want to send someone by to see your work, feel free!"